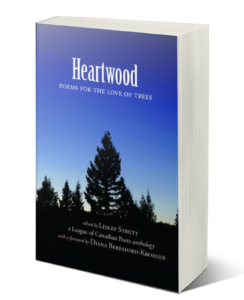 ORDER YOUR COPY OF HEARTWOOD! Within 5 days of receipt of your order, you’ll receive an invoice for the cost of the book(s) + shipping that can be paid online. Once the invoice is paid, your order will be shippped via Canada Post Regular Parcel (arrives within 4-9 business days).